« USPSTF releases mammography draft recommendations. 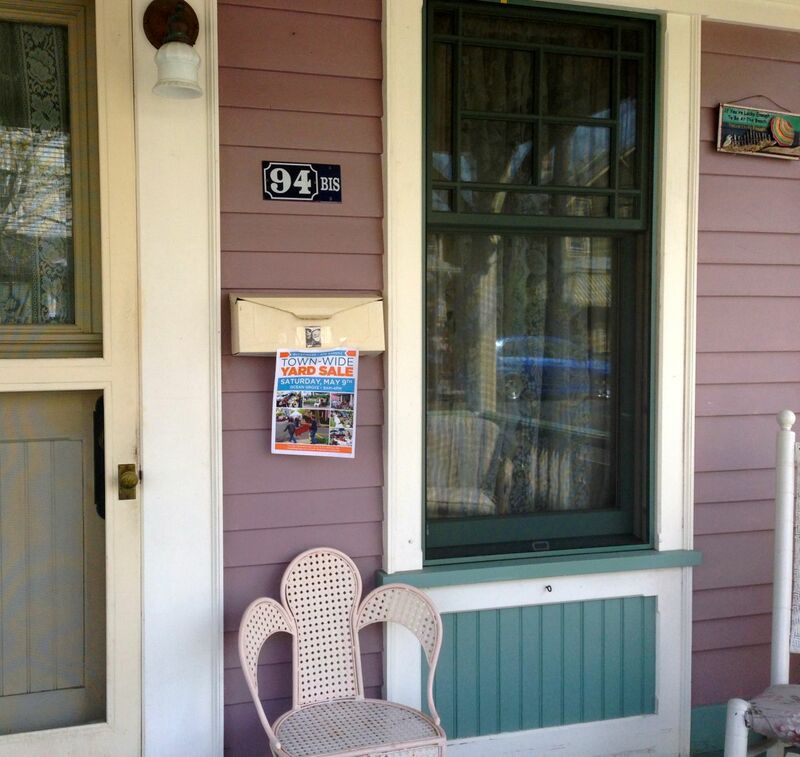 This Blogfinger reader posted one of the Town Wide Yard Sale fliers on her porch under plastic. You can help promote the event by doing the same. Stop at 113 Mt. Hermon Way (at Delaware) and pick up a flier. For a town wide yard sale to gain a reputation in the area, you need a significant number of participants. Last year we had 62. This year, so far, it is 30. Please consider participating, even if you only stay open for half the day—we can note exceptions on our list. It’s a good way to combine spring cleaning with a chance to make a few bucks and have a few yucks. To participate in this May 9 event, contact us by email Blogfinger@verizon.net or drop a note in our mailbox 113 Mt. Hermon Way. For those who are signed up, consider getting some balloons. Also try to sell clothing. Our neighbor sold out last year, but the prices have to be low. Tell us your sizes. We won’t use your names. Ocean Grove used to be famous for finding antiques at its yard sales. Consider selling some of yours.